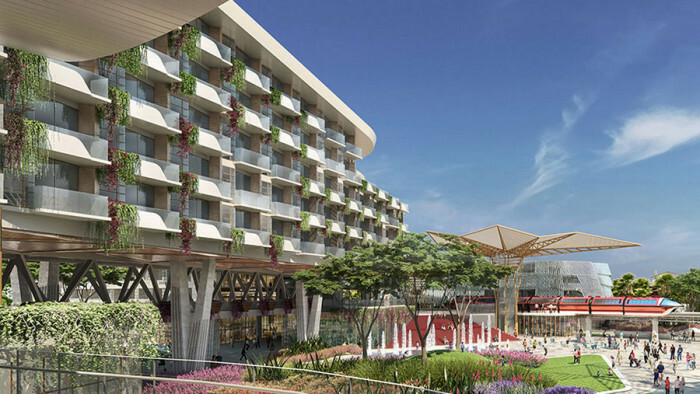 Several restaurants at Disneyland’s Downtown Disney District are closing this spring and summer to make way for a new four-star hotel coming to Disneyland in 2021. There is also reporting that much of the area west of the LEGO store in the Downtown Disney District will be torn down to make way for the new hotel. This new hotel will be connected to the other Disneyland hotels by walkways and gardens. It is expected to open in 2021.